There are lot of text editors available for Ubuntu / Linux Mint. gedit is the default text editor for GNOME based distributions, it’s very easy to use, you can start using it (effectively) – in minutes. Kate is a similar text editor for KDE distro. Emacs and Vim are full featured and very powerful text editors but the learning curve is very steep (although free online tutorials are available to help you if you stuck). If you hate using mouse while programming/writing/.. then Emacs (or Vim) is a great choice for you, in a along run, with more productivity and fun. Both Emacs and Vim can be used as a GUI app or a terminal app. Nano is a lightweight – command line editor. 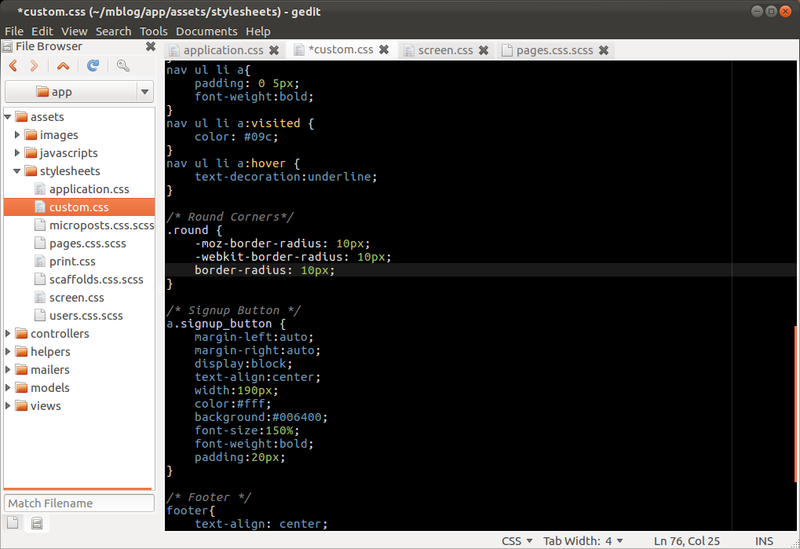 Sublime Text is a proprietary text editor, with a lot of cool features. It looks very similar to TextMate (one of the most popular text editor on Mac OS X). Previous PostUI Prototyping and Mockup Tools for Ubuntu / Linux MintNext PostWant to Learn Ruby ? Try these free tutorials!